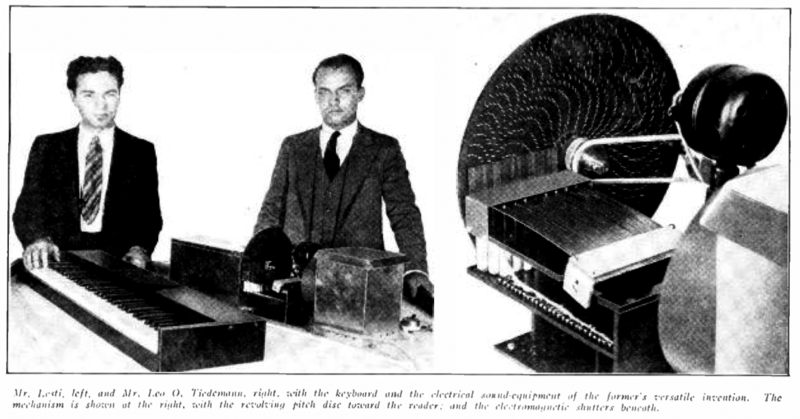 The “Radio Organ of a Trillion Tones” was created and developed by Arnold Lesti and F. Sammis in the USA during 1931. 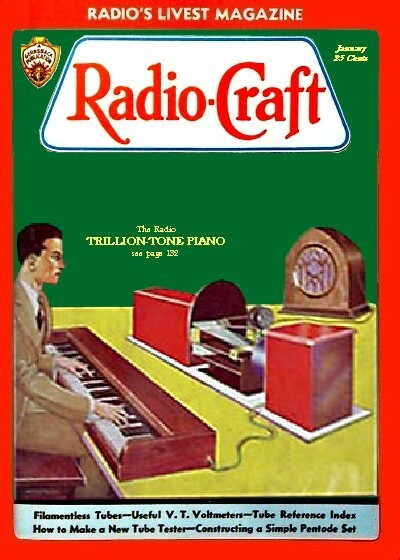 The Radio Organ used a similar photo-electrical technique as the Celluphone, Superpiano and other variants. 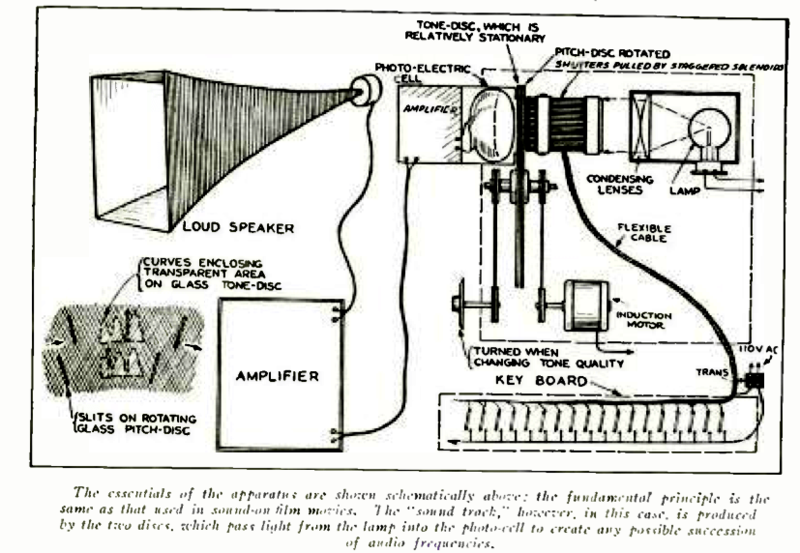 However the The Radio Organ generated a much more complex sound by projecting the light beam through two sets of glass disks – a ‘Pitch disk’ generating a pitched fundamental plus it’s ascending harmonics and a Timbre disk modifying the tone using a drawn representation of the sound wave of a real instrument (horn ,violin, clarinet, oboe and a human voice). The principle was improved in the next version called the “Polytone”. A. Lesti and F. Sammis’s development of the Radio Organ of a Trillion Tones was christened the ‘The Polytone Organ’, this instrument was a three keyboard manual organ using the same sound production system as the ‘Radio Organ’ – rotating photo-electrical tone-wheel sound generation. The instrument was completed in 1934 and was one of the first multi-timbral instruments.